(VEN) - While it helps increase productivity, minimize cost and prevent land and water waste, high technology application in agricultural production is limited and must be expanded. According to the Ministry of Agriculture and Rural Development, 40 high-tech agricultural enterprises have been certified in Vietnam, including 12 cultivation businesses, 19 seafood companies and nine livestock breeding enterprises. As of June, Vietnam had 35 high-tech agricultural zones, including three zones - Hau Giang, Phu Yen and Bac Lieu - established by the Prime Minister, and the remaining 32 zones by provincial or city people’s committees. Apart from these, eight other high-tech agricultural zones are being developed according to Prime Ministerial Decision 575/2015/QD-TTg on developing high-tech agricultural zones to 2020 with a vision to 2030. They include three zones in Ho Chi Minh City and Binh Duong and Khanh Hoa provinces, which have gone into operation with some relatively effective models. An additional zone, the Lam Dong High-tech Agricultural Zone, is still in various stages of certification, as are another four in the cities of Can Tho and Thai Nguyen and in Thanh Hoa and Quang Ninh provinces. There are five high-tech agricultural regions in Kien Giang, Lam Dong, Phu Yen and An Giang provinces, which are involved in shrimp, flower and rice development. 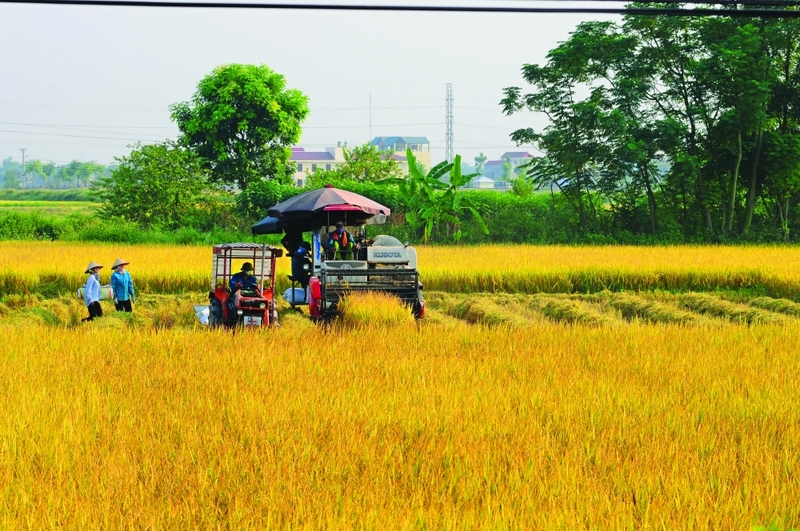 Economists say Vietnam’s agricultural growth still largely relies on increases in cultivated area, number of crops and such factors as labor, capital, materials, and natural resources. However, because the use of advanced technologies for creating smart agricultural models remains poor, production has only increased in terms of quantity rather than quality. As a result, efficiency of land and natural resources use is also low. Professor Vo Tong Xuan, Rector of the Nam Can Tho University said agriculture in the age of the Fourth Industrial Revolution means applying the latest products to minimize the use of chemical fertilizers, especially nitrogenous fertilizers, and increasing the use of organic and biological fertilizers that contain many trace elements and microorganisms that make crops and livestock pest-resistant. This helps farmers minimizes the impact of climate change, reduce cost and increase incomes on a sustainable basis. Dr. Nguyen Thi Thanh Thuy, Director of the Ministry of Agriculture and Rural Development’s Department of Science, Technology and Environment, said a more favorable legal framework is required for high-tech agriculture. Among the other developments she listed as needed to move Vietnamese agriculture into the 21st century are enhancing international cooperation, scientific and technological information exchange and human resources training; encouraging businesses to research and apply science and technology to production and play a key role in linking production chains; and issuing guidelines on high-tech agricultural development. 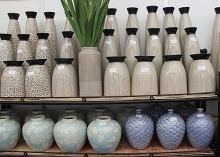 production and trading activities remains modest.